Due to recent highly publicised hacks and high-profile data breaches, certified hackers are in huge demand and being hired by almost all industry to help them keep their networks protected. These ethical hackers not only gain reputation in the IT industry but are also one of the most well-paid employees in the IT workforce today. There is a growing number of jobs for people with ethical hacking skills. But if you lack behind in this field, you required a good computer hacking course to sharpen up your skills and knowledge. The good news for you is that this week's THN Deals brings that let you get started regardless of your experience level. Ethical Hacker Bootcamp is an online training course for beginners seeking practical skills to learn and pass the Ethical Hacker certification exams and get a significant boost in their IT career. Ethical Hacker Bootcamp will give you the knowledge to effectively protect any network by identifying vulnerabilities, handling legal evidence of any hacking attack, detecting Trojans, backdoors, viruses and worms, shoring up a network's defences by exposing and then fixing its security flaws, and much more. Ethical Hacker Bootcamp training material usually cost $2,083 on the Internet, but you can take this ultimate course for just $45 (97% discount) at our Deals Store. 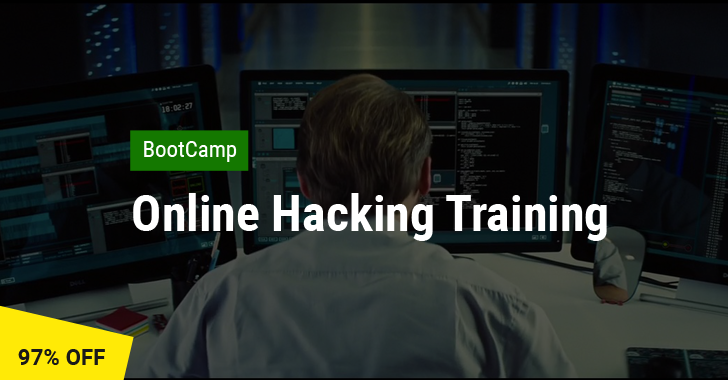 If you are interested in hacking and looking to build a strong career in ethical hacking, this Ethical Hacker Bootcamp course is for you.